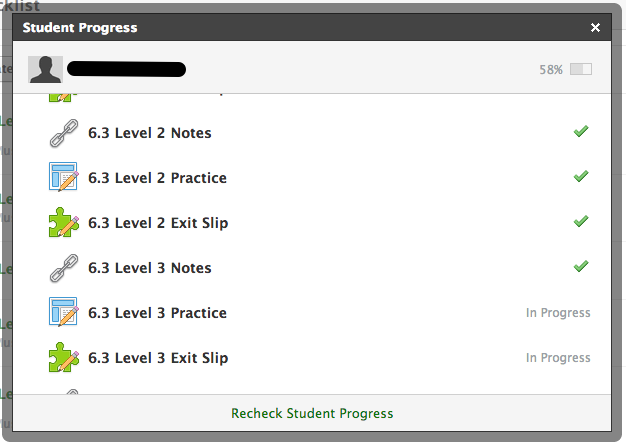 A Schoology Checklist is a great tool to hold students accountable for completing assignments in a designated order. You can use this as an instructional tool for students to complete a warm-up at the beginning of class or to read an article before answering a discussion question. At Elk Grove High School, some of us math teachers have used this tool to foster individualized learning in our classes. Here is a set of step-by-step instructions of how to create a Schoology Checklist. Before you begin, you should convert your documents to .pdfs and have the web addresses ready for any links that you will be posting. separate from the rest of the materials of the topic. etc.) are uploaded in the correct order that you want the students to complete. 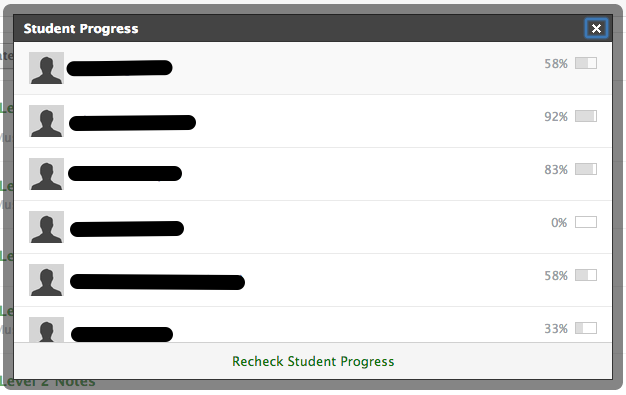 Click on "Student Progress" and see each student's percentage of completion. Click on a student's name and see the individual progress of each student. You cannot copy a Checklist to another course. Checklist and Save. Then, you can recreate the Checklist. You see a completion percentage for each student, but they do not see their own. completion. It has not happened yet, but I am hoping that it is coming in the future! Learning on a snow day!